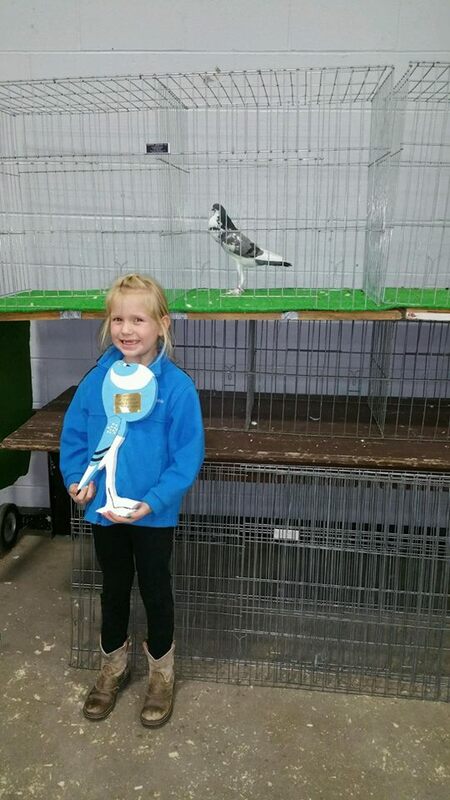 to Learn about Pouters & Croppers"
Layla Eaton with her trophy for Best Pouter by a Junior, MWPCC Meet at Hutchinson, MN (2014). 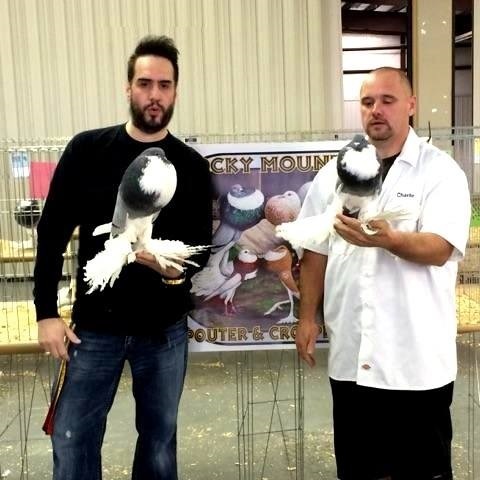 Darren Maderalli and Charlie Rowe displaying their Poms at the Utah Hurricane show, 2015. Tim Bueb of Des Moines, Iowa playing with one of his tame Poms at the ISPA Show, Dec 2014. 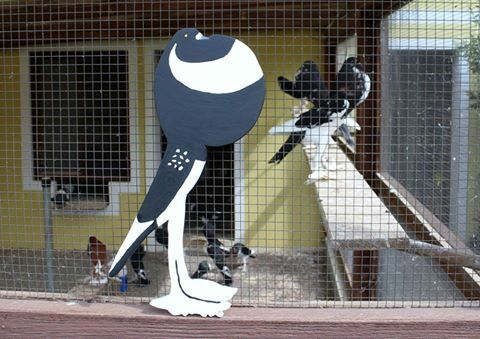 Jeff Clemens hand crafted English Pouter being display at the Gerhard Meier lofts in Austria. 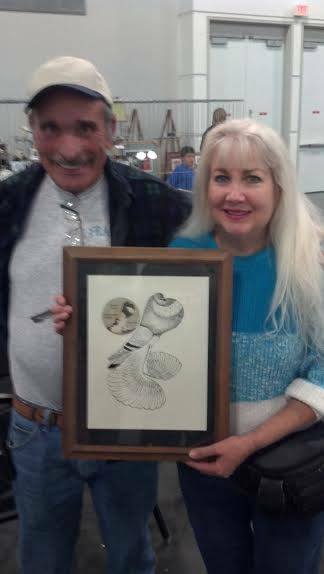 Rick and Becky Wood posing with their birds & awards from the ISPA Pouter Show in Des Moines, IA (2014). 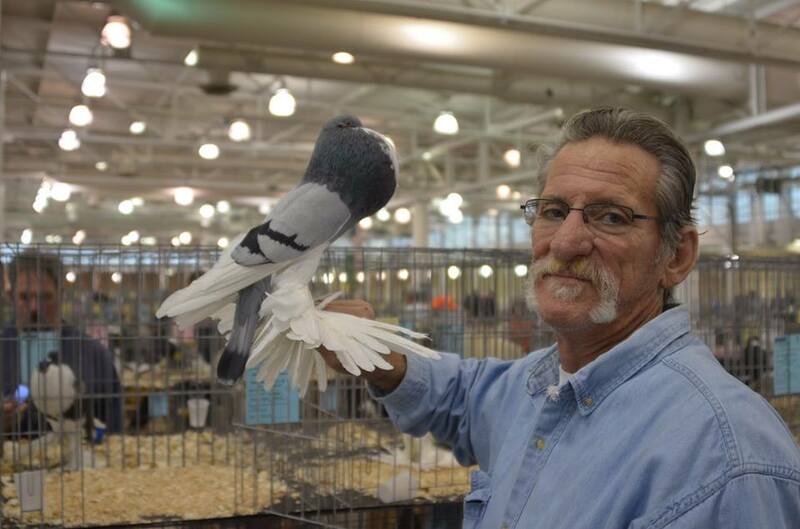 Frank Barrachina and Tally Mezzanatto of California at the National Show 2015. 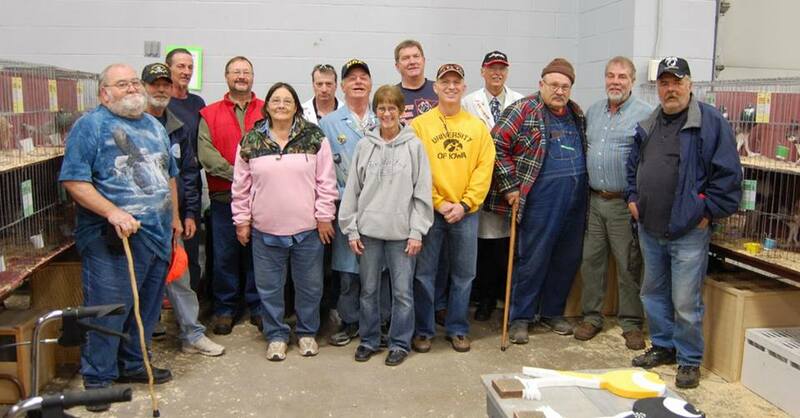 NEW - Join the Midwest Pouter & Cropper Club, a club for all Pouter & Cropper hobbyist; just outstanding pouter & cropper fun with down to earth people. Thanks for visiting Pouter & Cropper World Website, come back again! 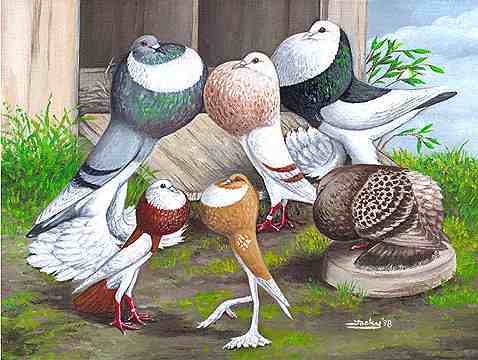 This site is for you and I the Pouter & Cropper enthusiasts! This site was last updated Mar 1, 2015. This website is dedicated in memory of it's originator The Late Dr. Tim Burke, Iowa City, IA.